Stokes said there was no point in looking back and focus on the upcoming games because if they lose the next two, bouncing back could be beyond Royals' reach. "Our first three games we got ourselves into a real good position to win All three, and we know it is just (about) winning those crucial moments. 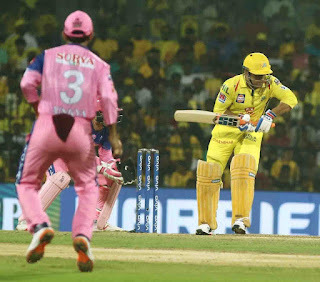 (This game) it was the last over and unfortunately we couldn't cross the line," Stokes said at the post-match press conference after the eight-run loss against Chennai Super Kings here on Sunday night. "There is always been one point in the three games were we haven't been a better team. Losing the first three games you probably would say we can't (take positives), but we are trying to and there is no point in looking back...Because if we lose 4-5, it's going to be really tough to come back from that," he said. Stokes also hailed CSK captain MS Dhoni saying there was a lot to learn from him. 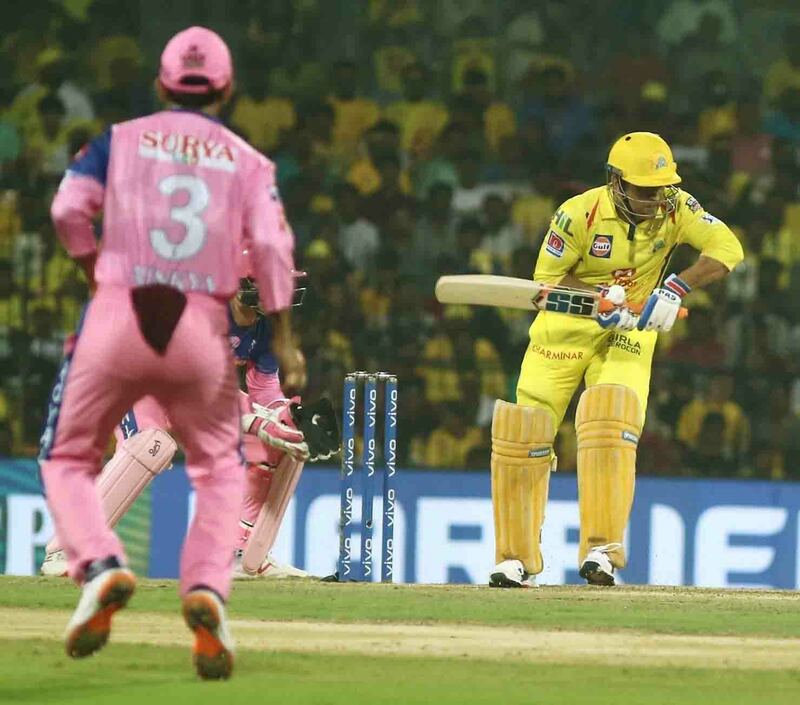 Dhoni smashed an unbeaten 75 to bail his team out of trouble from 27 for three. "Hindsight is a wonderful thing, if you look back at it like that. He just takes it deep as he possibly can. He's a great person to learn from and watch how he goes about his innings whether it's setting a total or chasing a total. "Especially when he comes in early, every team knows what he's going to try and do to start with and we tried to attack him. Getting him out was our main objective. There was a dropped catch which you can't blame anyone for - that happens - and the ball hitting the stumps and the bails not coming off." 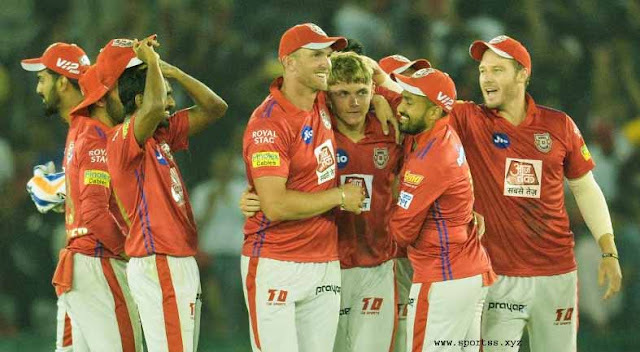 The Royals needed 12 runs in the final over to seal win but failed to do as the experienced Dwayne Bravo yet again kept things tight and took the wicket of Stokes. About this, the Royals player said the first ball is crucial and Bravo knew what to do. "And probably though the first ball is crucial to get a boundary (in the last over), and to try and get the momentum, you know (it) could have gone (for a boundary) but (Dwanye) Bravo is sort of experienced in those situations and he knows what to do and he is one of the best in the world doing it, so just say well bowled at the end of the day." Stokes said there was a little bit of pace in the wicket but it was 'stoppy' and the dew made it hard for the bowlers. "(There was) little bit pace and (it was) stoppy, towards the end the quicker ball couldn't not lay easier and in the end the dew helped (the ball) to come on nicely. "The dew on the top of the grass was making the ball slippery and you could see how many times the ball was changed and it was a tough task for us, imagine how hard it was for the spinners considering they used their fingers to spin the ball," he added.